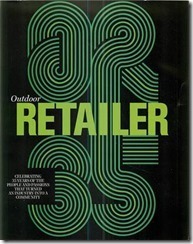 Hassel Map: identifies ways to get consumers to buy, but also ways guests sued. 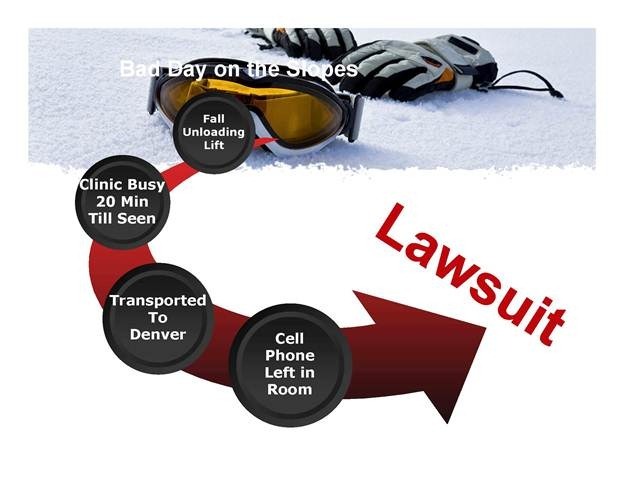 If you remove the hassles before the problem arises, do you eliminate the lawsuit possibilities? I’ve always argued that lawsuits are a product of a series of events either prior to the injury or probably post injury that leads a guest or consumer to a lawyer and litigation. 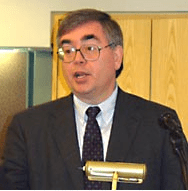 Adrian Slywotzky is a consultant and author that developed the Hassel Map. It is a look at all the problems a consumer faces to make a purchase. The consumer is going to buy from the seller with the least amount of hassles. He uses examples such as Blockbuster and Netflix. It was a hassle to drive to the store, guess at what the family wanted to watch, rent extra movies in case you guess wrong, drive home, watch the movie then pay more money when you take it back late. Netflix eliminated the hassle. · Breakfast was overpriced for what the family got. 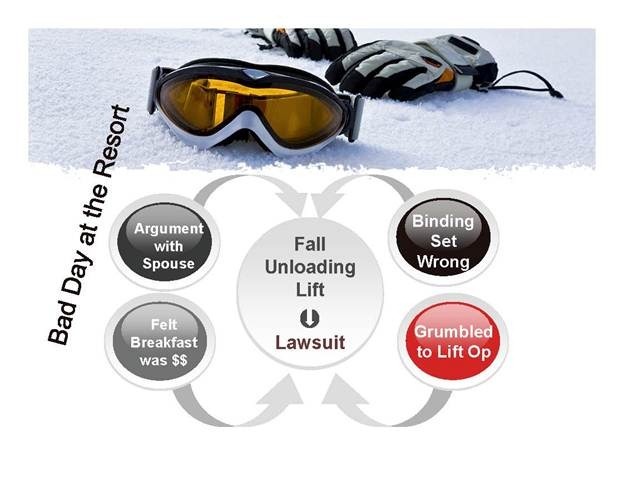 · Lift line was forever because the lift operator could not get lift functioning. So by the time the skier is on a run he feels ripped off, cold, wet, already tired and like his morning has been wasted. A fall and injury at this point just lead to more anger. This accumulating anger, hassle, leads to threats of and maybe real litigation. However post-accident hassle is probably an even bigger course that leads to lawsuits. · The ER is busy, so he waits for 20 minutes in pain. · He is transported to a distant city and can’t figure out how he is going to get back to his family. · He left his cell phone in the room and has no way to contact his family. · He is listening to a physician explains things that sound scary, but that he really does not understand much of what is being said. · All he really understands is wheel chair and crutches. · He has a $2500 deductible on his health insurance. How can you eliminate or at least cut the hassle for this skier? Or maybe better stated how you can head off the lawsuit before it gets started? You don’t want to come up with money, but you can find ways to make a customer or a guest’s life better, before and after an injury. Sticking your head in the sand is not a solution. Relying on your insurance company or your attorney may eliminate your hassle. However, it has just escalated the hassle factor or your former customer or guest. In the above scenario, one easy step was giving all ERs that guests were sent to an 800 number, so they could call the resort. When a call came in from a hospital, it was assigned to a team to track down the family and make arrangements to get them together. Either transport them to the ER or transport the injured skier back to the resort. Sure a bit of hassle and cost on the part of the resort, but look at the elimination of problems for the guest and the opportunity for the resort to look good in the eyes of the hassled guest. How can you eliminate the hassle for your consumers and guests? 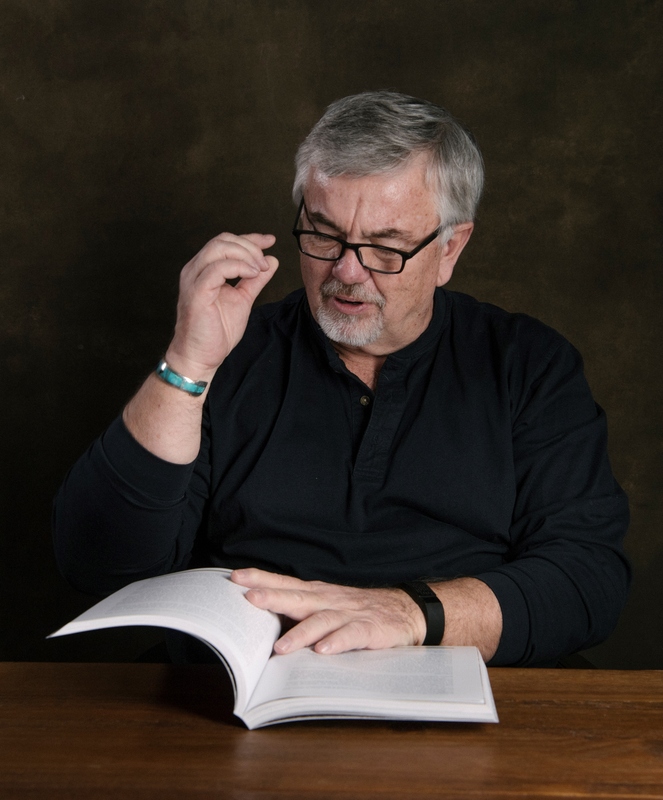 See Adrian Slywotzky Interview: What Is a Hassle Map?